Except for Nowshera in Rajouri where Pakistani troops had already been resorting to unprovoked firing for past many days, cross border shelling at various other places came after two to four months. A woman was killed and a soldier who had come home on leave was among four people injured as Pakistani troops resorted to heavy mortar shelling at various places along the Line of Control in Rajouri and Poonch districts on Thursday. Identifying the deceased as Amin Akhter, 32, of Chaijla, sources said the injured included a soldier, Zakir Hussain of Balnoi, and Naseema Akhtar, 28, of Nar Mankote, all from Mendhar, besides Kailash Devi and Anu Devi, both from Kalsian in Rajouri district’s Nowshera sector. Nearly a dozen houses were damaged in the shelling in Nowshera’s Kalal area, sources said, adding that damage to property in Poonch was yet to be ascertained. 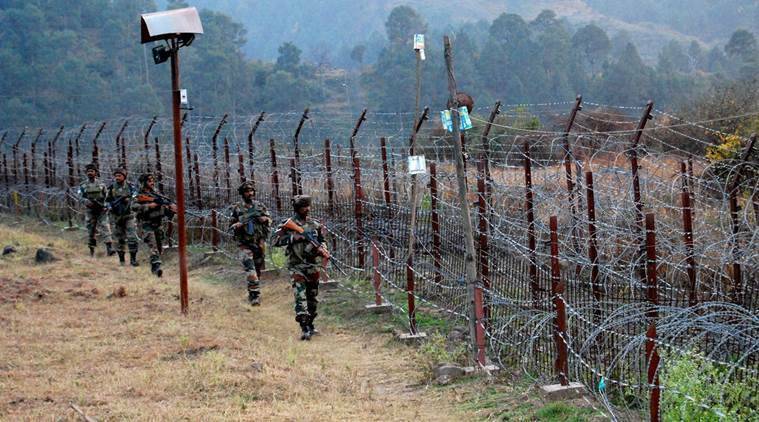 The shelling, which took place along the LoC from Sunderbani sector in Rajouri district to Mankote, Kahri Karmara and Degwar areas in Poonch district, was intense, with Pakistani troops even firing 120 mm mortars. The mortar shells also fell in residential areas. The shelling continued throughout Wednesday night and stopped in the morning. After a lull of a few hours, it resumed in the afternoon, targeting forward Indian positions and civilian areas along the LoC in Degwar, Khari Karmara, Balakote, Mankote areas in Poonch, besides Nowshera and Sunderbani sectors in Rajouri district. Defence Ministry spokesperson Lt Colonel Devender Anand said the Indian Army was retaliating at all the places strongly. Since the Pulwama attack, there has been a spurt in ceasefire violations by Pakistani troops along the LoC. There have been nearly three dozen incidents of unprovoked mortar shelling and small arms fire in the past two days, sources said. At places like Balakote, Mankote and Akhnoor sector, Pakistani shelling in the last two days has happened after two to four months. On Tuesday night, the Army in retaliatory fire destroyed five Pakistani posts, killing a number of its soldiers, after they started targeting forward Indian positions and civilian areas with mortar shelling, sources said. Five Indian soldiers were injured in the shelling. The administration has ordered closure of schools within 5 km of the border with Pakistan.